The inaugural $1 million ATP Israel Open that had been scheduled to be held in Tel Aviv next month has been cancelled by the governing body of men’s tennis because of the conflict between Israel and Islamist militants in the Gaza Strip. The ATP World Tour 250 event, which was due to take place from Sept. 15-21, would have been the first high-profile men’s tournament to be held in Israel since 1996. “We regret the ATP World Tour event in Tel Aviv, Israel, will not take place this year. 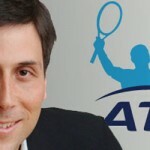 Sadly, we do not feel we can proceed as planned given the situation in the region,” ATP executive chairman and president Chris Kermode said on the ATP’s website (atpworldtour.com).